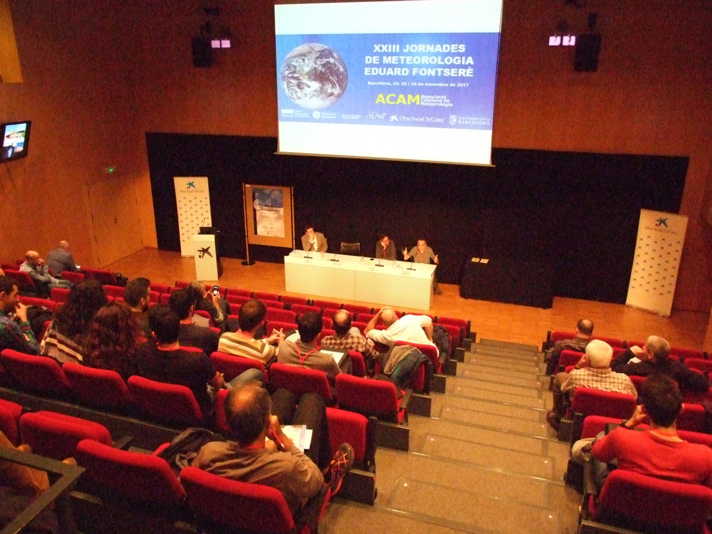 As it has been the tradition since 1994, on the last weekend of November the Catalan Meteorological Society (ACAM) organises the Mediterranean Meteorology and Climatology symposium “Eduard Fontserè” in Barcelona. These symposiums aim at disseminating knowledge on meteorology and climatology in the Mediterranean area, and have become a meeting point for academics, amateurs, researchers, and also bachelor, master and Ph.D. students. It is named after Eduard Fontserè who is considered by many as the “father” of meteorology in the Catalonian region: he was the first director of the Catalan Weather Service in (1921-1939), making important contributions to regional meteorology. 25 years since the meteorological service provided meteorological guidance for the Olympic games in Barcelona 1992. Grouped in three sessions, a total of 12 talks were presented on Saturday and Sunday morning in the Science Museum of Barcelona (Cosmo Caixa). The first session covered Mediterranean meteorology and climatology, the second covered applications and tools for analysis and study, and finally the third session dealt with the impacts of weather on society and the environment. In addition to the 12 oral presentations, a, poster session was held during the coffee breaks over the weekend, where authors explained their work. The last oral presentation on Sunday afternoon was special because the speaker was awarded the “Eduard Fontserè” International Award for Meteorology and climatology. This award, endowed with €2,500, aims to promote meteorology and climatology of the Mediterranean. The aim of the award is to recognise work published in atmospheric science journals included in SCI (Science Citation Index, Thomson Reuters) or SCOPUS, between 2015 and 2017, which offer a noteworthy contribution to the improvement of knowledge on meteorology and climatology in the Mediterranean. 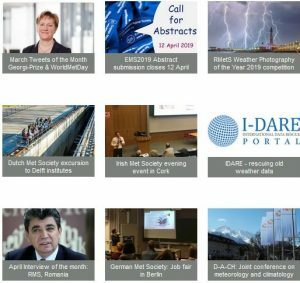 The winning paper was entitled “SPREAD: a high-resolution daily gridded precipitation dataset for Spain – an extreme events frequency and intensity overview”, by Roberto Serrano-Notivoli et al., published in 2017 in the journal “Earth Science Data”. Following the presentation of the award, the director of the Meteorological Catalan Service (MeteoCat) and a member of the Spanish Weather Agency (AEMET) closed the symposium.